For anyone to plant a vineyard and make some wine takes a huge leap of faith. In 1988, the idea to grow riesling could have been seen as completely reckless. Judi Cullam and Barrie Smith had fallen in love with riesling. They had developed a deep appreciation of the Roche Family riesling wines and the dry, textured styles of the Clare Valley, which soon extended to a desire to seek out the best of German rieslings. But in the 1980s, Australians had only one perception of riesling; that it was sweet and cheap and often came in a cask. “Any white wine at the time could be called riesling,” Judi exclaimed. Judi and Barrie grabbed hold of this idea to make exquisite wines from the remote Great Southern but not without understanding the hard work it would take to make it work. Barrie maintained the essential operations of their broad-acre farm and the vineyard while Judi took their wines on the road to educate all she met about the appeal and virtues of Australian grown, dry, textural riesling. At an event in Sydney on 20 September 2018, Gourmet Traveller Wine recognised the contribution Judi has made over the course of thirty years to elevate the status of riesling in Australia, awarding her the Len Evans Award for Leadership. Peter Forrestal captured the significance of Judi’s contribution in the following story published in Gourmet Traveller Wine in Sept/Oct 2018. A love affair with riesling combined with hard work and innovative educational events has seen Judi Cullam of Frankland Estate raise the profile of this noble grape variety in Australia. Judi Cullam has lived most of her life ‘in the middle of nowhere’ at Rocky Gully in the Great Southern. 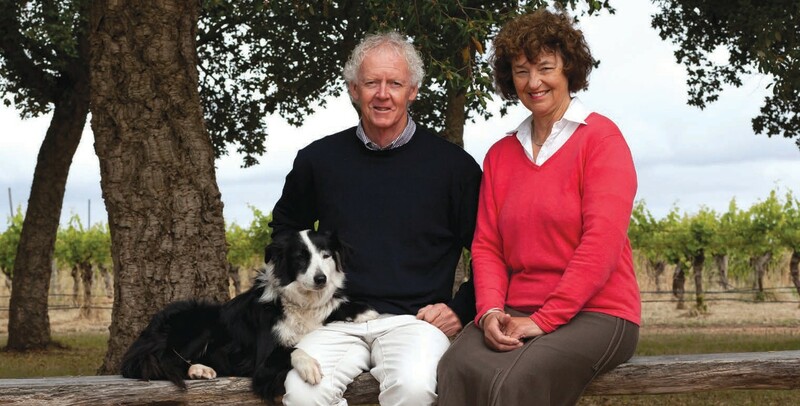 She and her husband, Barrie Smith, were primarily sheep’s wool growers when they established Frankland Estate in 1988, which saw them take on viticulture and winemaking. Drive, determination and charisma, these are the leadership qualities that make Cullam a deserved winner of the Len Evans Award. They underpin her love affair with riesling, which has had a profound impact on the way Australians see this noble grape variety. Perhaps it was the isolation that made it an imperative but few marketers have developed and maintained close contact with so many wine writers and sommeliers as Cullam has done in her time in the industry. She was the force behind the Frankland Estate International Riesling Tasting, a biennial celebration of riesling (now Riesling Downunder) held since 2001. Its origins were a 1997 Intercontinental Hotel riesling tasting organised by Wolfgang Grimm and featuring German producers including Ernie Loosen (Dr Loosen), Bernhard Breuer (Georg Breuer) and Fritz Hasselbach (Gunderloch). She left that tasting convinced that if you want to make and market a grape variety, you need to know about it and believe in its power to captivate. She and Barrie visited Germany and Austria to maintain their contacts and learn more about riesling. They used Berlin-based Stuart Pigott's book as a guide. When Cullam decided that they should host an international riesling tasting she invited Pigott to chair the event. Pigott, who is attracted to quirky, read her letter on recycled paper, checked the location of Frankland Estate in deepest Rocky Gully, and decided that this was something that he wanted to get involved in. riesling producers from Germany and Austria to make the journey to Australia. Although the logistics and financial cost of running such an event was a huge drain on the fledging Frankland Estate, there was never a question that they would not persevere. The generosity of Frankland Estate in making sure that so many sommeliers and wine writers got to taste the diverse range of rieslings on display at the first (and subsequent) International Riesling Tastings has had a huge impact on spreading the appreciation of this variety in Australia. Another of the promotional activities that Cullam took responsibility for in the late 1990s was the Olmo’s Reward Parts Tastings. These primarily targeted sommeliers and showed the components – cabernet franc, cabernet sauvignon, malbec, merlot and petit verdot – alongside the finished blend. In 1999, Frankland Estate launched the first of six Riesling Scholarships which took the winners on a study tour of riesling in Europe. 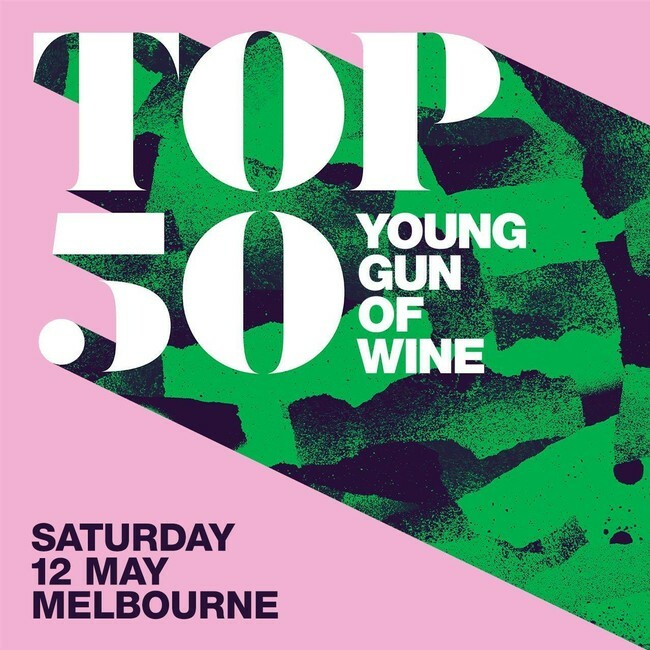 The inaugural winner, Patrick Walsh, subsequently launched his distribution company, Cellarhand, which has dramatically increased the availability of Europe's finest rieslings in Australia. He describes the scholarship as a “life-changing opportunity” which “made him determined to share those great wines with Australian diners”. Frankland Estate was an innovator when there were far fewer educational events for sommeliers so it is unsurprising that Frankland Estate Isolation Ridge Vineyard Riesling appears to have a pre- eminent place on almost all fine wine lists in the land. An issue facing family wineries in Australia, now and always, is the question of generational change. Cullam and Barrie Smith have tackled handing over to their children, Hunter and Elizabeth (and her winemaking husband, Brian Kent) in an exemplary manner. They handed over control of the winery and vineyard when their children had the maturity, energy and drive to make it their life’s work, despite being happy to continue. Mutual respect and timing were key. For someone who loves the isolation of Rocky Gully, Cullam has relished the opportunity to go on a wider stage leading others towards an appreciation and affection for an undervalued grape variety. And that is where he planted the Frankland Estate vineyard, which now covers 34 hectares of what was a sheep and cattle farm in the remote south-west of Western Australia. Once you’ve planted vines and erected trellisies, it’s too late to change your mind, and Barrie Smith’s decision to plant where he did was as well planned as it was fortuitous. Frankland Estate has emerged as one of the great vineyards of Australia. It’s most famous for riesling but shiraz, chardonnay and a cabernet family blend called Olmo’s Reward are also superb. Frankland Estate is celebrating its 30th anniversary this year with a series of events around Australia. 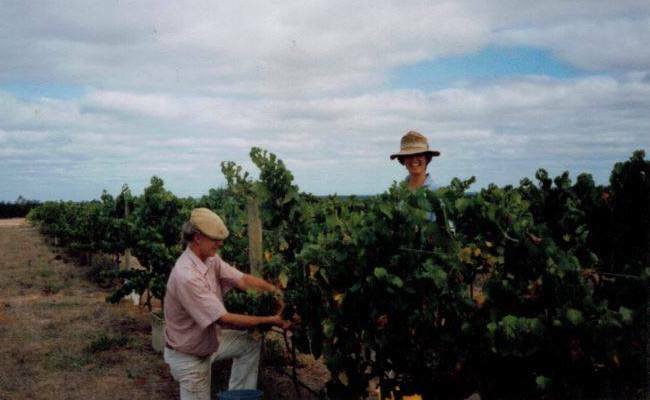 It is 30 years since Barrie Smith and his wife Judi Cullam planted their first vines. Their son, Hunter Smith, credits the subsequent naming of the vineyard as Isolation Ridge to their marketing consultant at the time, Guy Grant. It’s a no-brainer as the vineyard is one of the most remote in Australia. Judi had been a radiologist and Barrie a real estate agent at the time they decided to buy land and farm it. Later, trips to the wine regions of France and Germany, including a memorable one to Bordeaux with South Australian winemaker Bill Hardy, saw them fall in love with wine. Now, wine has taken over their lives. What is so good about this site? “Cold nights and cold southerly winds” balance the warm sunny days and “the diurnal temperature variation sets the tone, and captures the natural acidity,” says Hunter. And Frankland Estate grapes have plenty of acidity. The Smiths also lease the 3-hectare Poison Hill vineyard which produces one of their single-site rieslings. Hunter believes all of their wines share a ‘house style’, and I’d agree with him. Part of that style is due to fully ripe grapes, which result from a relatively long hang-time. The climate allows this without loss of natural acidity. The quality of these wines was amply demonstrated by a tasting hosted by Hunter. Isolation Ridge rieslings were poured, from 2017 back through 2016, 2015, then a jump to 2006, 2002 and 1991. All were still drinking superbly, the 1991 despite it being sealed with a cork. Made from first-crop grapes, the ’91 was deep, bright golden colour with a bouquet of lightly browned toast, very complex, the palate rich and deep and quite refined in texture. The 2002 was the star, curiously from a vintage that made great rieslings throughout Australia. Still only light to mid-yellow in colour, it was fresh and tight, crisp and delicate, with terrific intensity and refinement. A great wine which still has years ahead of it. I thought the 2015 was also outstanding, while the current release 2017 lacks nothing in comparison and could well prove to be another top wine in time. *To view Huon's 2018 Top Australian Wineries click here. A very wet 3 months from July – September 2017 set the vines up for very good spring growth. Fine weather during November lead to good flowering and hence average to above average crops on the vines. From October 2017 to May 2018 rainfall was below average across each month and daily temperatures were cooler than usual leading to a mild season with lovely cool evenings. Harvest started with the Chardonnay on the 28th February and finished with the Mourvedre and Touriga National on the 30th April. The annual red gum blossom was strong and kept the birds away while harvesting the whites. We purchased 5 Ha of nets for the reds to keep the birds off and they did a great job reducing the amount of bird damage. At the time of writing, the Rieslings (Isolation Ridge, Poison Hill and Estate) are blended and tucked away in full tanks with some lees to mature and relax on over the coming months. The Chardonnay and Alter Weg Riesling are in barrel on full solids unsulfured at this stage. The dry conditions allowed a very measured and considered intake for the red varietals all of which are in barrel for maturation. It was also a great year for the later ripening varietals such as Mourvedre and excitingly for the very first crop of Touriga National. All reds enjoyed the mild weather, Cabernet Franc and Sauvignon had some lovely hang time providing reds with great depth and complexity. 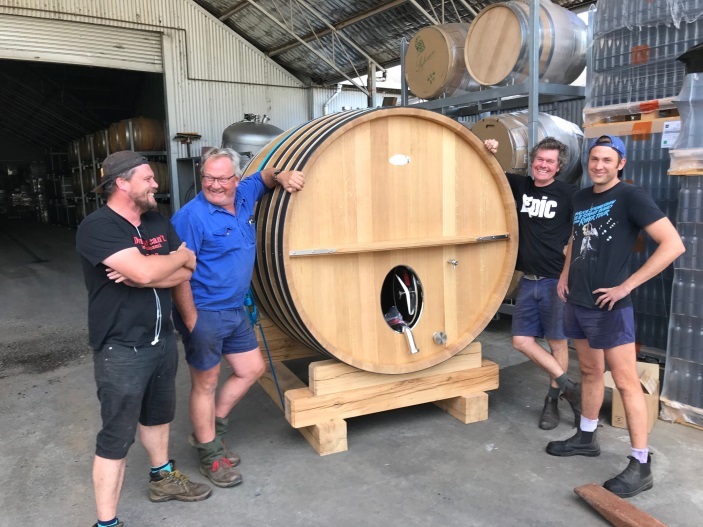 This vintage we took receipt of our first large format shiraz barrel (3,500Ltrs) which aims to allow the elegance and origins of our shiraz speak even louder, an exciting evolution in our approach to this variety. Be a part of our 30 year celebrations this May at Rockpool Bar & Grill in Sydney. We invite you to join Head Winemaker Hunter Smith on Tuesday, 29 May for an exclusive wine dinner. Enjoy a four-course dinner menu curated by Head Chef Corey Costelloe, as you taste your way through an exquisite selection of wines from Frankland Estate. Gourmet Traveller Wine is the Australian Wine Industry's leading journal of analysis and review. 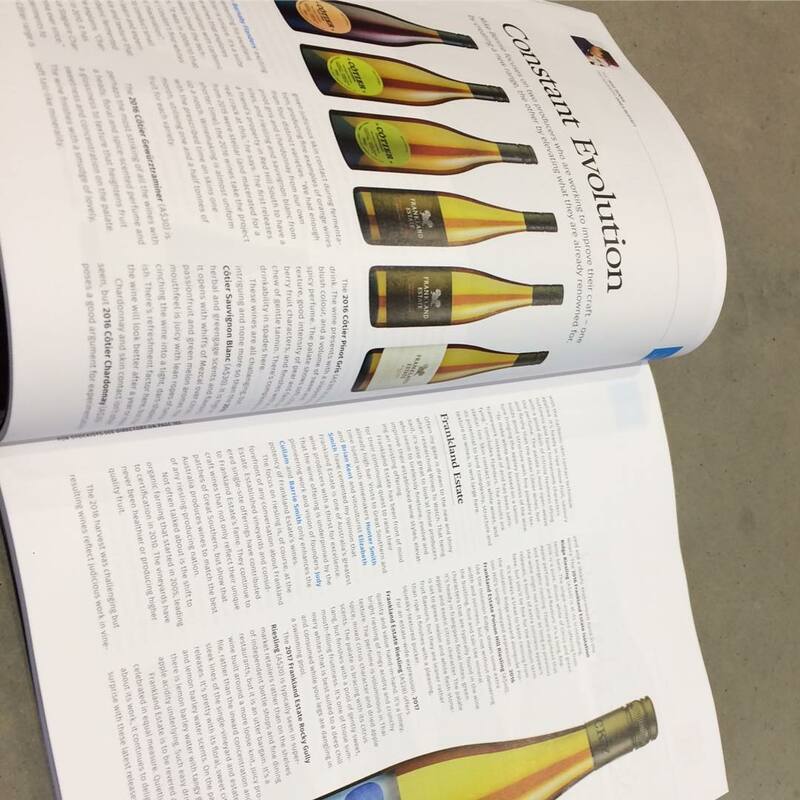 In the December/January edition, wine writer Mike Bennie writes about Frankland Estate in his article, 'Constant Evolution'. "Often my gaze is drawn to the new and shiny when researching Wines To Watch. That being said, it's also great to look at those producers who seem to tirelessly finetune, evolve and improve their established wine styles, elevat­ing an existing offering. Frankland Estate has been front of mind for their continuing quest to raise their already high bar. Visits to Great Southern and time spent with winemakers Hunter Smith and Brian Kent and viticulturist Elizabeth Smith have cemented my opinion that Frankland Estate is one of Australia's greatest wine producers with a thirst for excellence. That the wine offering is underpinned by the pioneering work and vision of founders Judi Cullam and Barrie Smith only enhances the potency of Frankland Estate's wines. The focus on riesling is, of course, at the forefront of any conversation about Frankland Estate. Established vineyards and consid­ered single-site offerings have contributed to Frankland Estate's fame. They continue to craft wines that not only reflect their unique patches of Great Southern, but show that Australia produces wines to match the best of any riesling-producing nation. Not often talked about is the shift to organic farming that started in 2005, leading to certification in 2010. The vineyards have never been healthier or producing higher quality fruit. The 2016 harvest was challenging but resulting wines reflect judicious work in vineyard and a steady, experienced hand in the winery. The 2016 Frankland Estate Isolation Ridge Riesling is at its scintillating, tense best. The single-vineyard offering from 2016 is a pure, driven white of citrus and green apple perfume and flavours. It's a long, fine and energetic riesling. There's argument that the wine might not cellar as long as previous releases, a touch of extra juiciness appears here, but you'll be fine for the medium term. It's always a treat to taste riesling from the Isolation Ridge vineyard alongside Poi­son Hill's single-vineyard expression. 2016 Frankland Estate Poison Hill Riesling, like the Isolation Ridge, shows some extra width and juiciness, but not without delivering the bustling, flint and talc-like mineral characters that are typically found in the wine. It's heady in frangipani floral notes, green apple and exotic citrus character. The palate is set to green melon and white flesh stone-fruit flavours, but they are leaner rather than ripe. It finishes with a pleasing, squeaky-textured pucker. 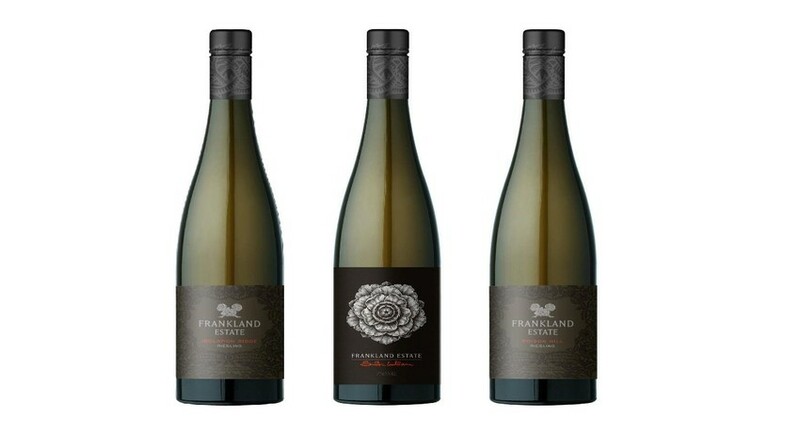 For an estate-wide expression, 2017 Frankland Estate Riesling offers quality and value hand-in-hand. It's a limey, bright riesling of zingy acidity and crunchy texture. The perfume is voluminous in Thai spice, mixed citrus character and dried apple scents. The palate is bracing with its citrus tang, but finishes with a pool of gently sweet, mouth-filling fruitiness. It's one of those sum­mery whites that is best suited to a deep chill and consumed while your legs are dangling in a swimming pool. The 2017 Frankland Estate Rocky Gully Riesling is typically seen in super­market retailers rather than on the shelves of independent bottle shops and fine dining restaurants, but it is an utter bargain. It's a wine built around a more loose-knit, juicy pro­file, rather than the inward concentration and sleek lines of the single-vineyard and estate releases. It's pretty with its floral, sweet citrus and lemon barley water scents. On the palate there is lemon barley water with tangy green apple acidity underlying. Such easy drinking. Frankland Estate is to be revered and celebrated in equal measure. Quietly going about its work, it continues to delight and surprise with these latest releases."